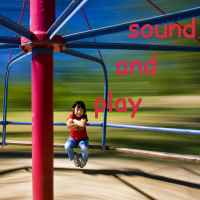 Unsettling the World Soundscape Project | Sounding Out! 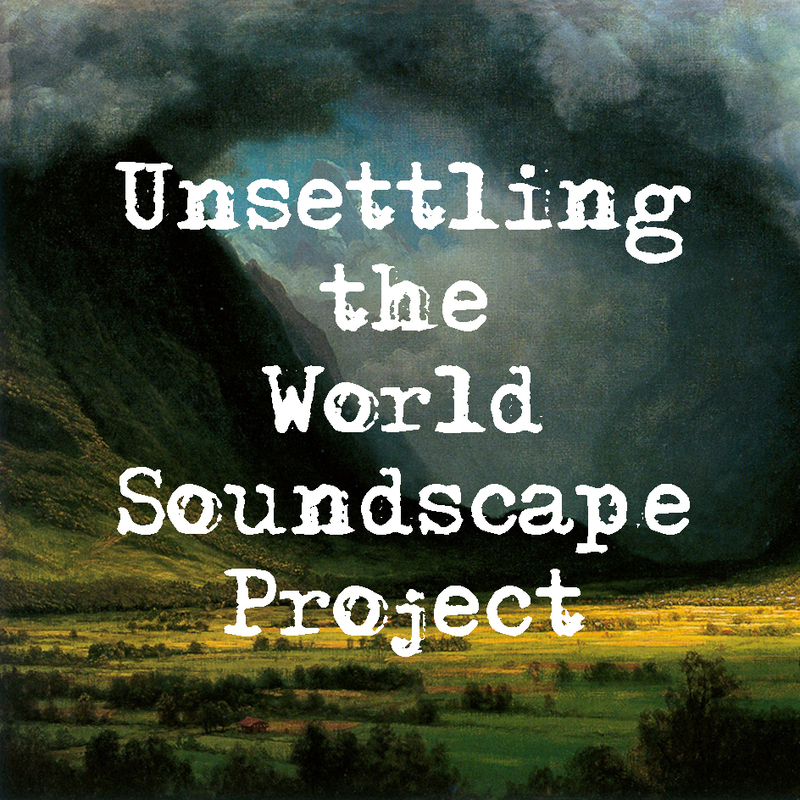 Welcome to the third and final installment of Unsettling the World Soundscape Project, a series in which we critically investigate the output of early acoustic ecology and assess its continuing value for today’s sound studies. In our first post, Mitchell Akiyama addressed the WSP’s ten-hour Soundscapes of Canada radio series from 1974 to situate the broadcast’s innovative work historically and explore how it attempted to represent a diverse nation by way of sound. In my follow-up post, I focused on the WSP’s Vancouver research, their only output since returning from Europe in 1975, assessing shifts in the ideologies and practices over its two official releases and arguing for the best path that future iterations of the project might follow. In this final entry, Vincent Andrisani puts the “world” back into the World Soundscape Project by carrying his experience as the recordist for the WSP’s last archiving mission in Vancouver out into his solo doctoral research in Havana, Cuba. Andrisani lends an unsettled ear to one of the city’s most beloved sounds, the tune of the ice cream vendor, unpacking its social and historical significance to make an argument about the role that sound plays in local self-definitions of citizenship. Inspired by the WSP’s continuing quest to discover how people’s relationship to places can be defined through sound, Andrisani’s work offers an example of what contemporary soundscape research can be while demonstrating how to deal with many of the concerns raised about the WSP’s output over the course of this series. It has been a great pleasure acting as editor for this series over the past few weeks and it is our hope that these posts will provide further fuel for celebrating, expanding, critiquing and rethinking the work of acoustic ecology in the broader context of contemporary sonic research. To conceive of Havana in sound is to think not of the material spaces of the city, but rather, across them. From inside the home, residents participate in conversations taking place in the streets, while those in the streets often call for the attention of their friends or family indoors. Through windows, open doors, and porticoes, residents engage in interpersonal exchanges that bring neighbourhood communities to life. To listen across these spaces is to listen trans-liminally from the threshold through which sounds must pass as they animate the vibrant social life of the city. Such an act is made most apparent by the voices of vendedores ambulantes, or, mobile street vendors. “¡El buen paquete de galleta!” (“The good packs of cookies!”), “¡Se compran y se vendan libros!” (“I’m buying and selling books!”), and most famously, “¡Mani! ¡Mani!” (“Peanuts! Peanuts!”) are some of the pregones—the musical cries—heard through the streets and into the home. But not all vendors are pregoneros. El heladero, the ice cream vendor, uses the jangly melodies of the electronic music box to make ears perk up, mouths water, and children’s shoes hit the ground running. The sound signals a respite from the sweltering Caribbean heat and is symbolic of a novelty food item for which Cubans have a strong cultural affinity. But most of all, the ice cream vendor’s melodic tunes bring people out of their homes and into the street, giving life to a moment that is as social, participatory, and convivial as it is savory. For over a century, ice cream vendors have been heard on the streets of Havana. Throughout this time, the city’s spaces have been contested by external regimes of power that include the Spanish Crown, U.S. business interests, Cuba’s own socialist government, the Soviet Union, and since the 1990s, Cuba’s resurgent tourist economy. Yet, in spite of the exclusionary logic imposed by each of these systems of power, the sound of the ice cream vendor still remains. To listen to it is to listen to Havana according not to the agenda of outside interests, but rather, according to the collective interests of residents themselves. Borrowing from the work of Saskia Sassen (2006) who maintains that “citizenship practices have to do with the production of ‘presence’ of those without power and a politics that claims rights to the city” (315), I regard the tacit, communicative, trans-liminal act of listening as a means through which residents assert their embodied presence amidst both the spatial and political landscapes of the city. Listening to the sound of the ice cream vendor, I argue, constitutes an act of citizenship—an act of sonic citizenship—that momentarily claims Havana’s spaces according to the aims, aspirations, and desires of those who live there. Citizenship, in this sense, is conceived of not as an institution bound to the political-juridical architecture of the nation-state, but rather, as a place-based “practice and project” (Sassen, p281) that, over time, has the potential to condition changes in the formalized institution itself. It emerges in the everyday, rather ordinary moments during which the city’s spaces are produced and given meaning by those with unequal access to political power. Just as Jennifer Stoever (2011) and Michael Francis O’Toole (2014) have discussed elsewhere, I too contend that citizenship is articulated in sound, but in order to hear it, we must listen historically to—and through—the spaces of Havana’s built environment. The above clip, which I captured while conducting fieldwork in Havana, represents a moment of everyday life in the municipality of Centro Habana. While speaking about it with friends, colleagues, and acquaintances, I came to realize that only recently had the ice cream vendor’s heralding music become part of the local soundscapes. “Where was it before that?”, I asked. “Before that,” they all said, “it was gone.” In 1990, the Soviet Union collapsed and brought Cuba’s economy along with it. Shortages of food, petrol, and material resources were so severe that satisfying basic needs took precedence over the delivery of frozen novelties. The result was the loss of the ice cream vendor—and its corresponding sound—which, for decades, was part of the ongoing, everyday life of the city. Fittingly, the collective sentiment surrounding that loss is captured in song. “Helado Sobre Ruedas,” or “Ice Cream on Wheels” by Gema y Pavel was released in 1994, during the height of Cuba’s economic crisis. In it, the duo lament the disappearance of the ice cream vendor from the streets of Havana and reflect on what it meant not only to them, but to all residents of the city. They speak about the presence of the ice cream vendor as a ‘refreshing’ event on hot days; as a source of joy, pleasure, and happiness that offered much more than a simple respite from the heat, but as one that “made family problems disappear.” The “sweet melody” of the vendor was the cause for celebration in neighbourhoods across the city, and is a sound that the duo recalls with both warmth and affection. Throughout most of the twentieth century, ice cream sales in Havana looked and sounded much like it did in the United States. Minnesota-based Nichols Electronics developed the technology of the electronic music box in the mid-1950s, and within a few years, its chime-y sounds were heard on the streets of Havana. The frozen novelty itself can be traced back to 1920 in Youngstown, Ohio. Harry Burt, the eventual founder of the Good Humor brand paired, first, the lollipop’s wooden stick with chocolate covered vanilla ice cream, and subsequently, ice cream sales and automobility. In Havana, brands such as Hatuey, Guarina, and El Gallito borrowed Burt’s developments, and by the time the city underwent its westward suburbanization in the 1940s and ’50s, mobile ice cream sales were booming. But if we listen further still into Havana’s past, we can discern the ways in which the ice cream vendor’s music echoes the complex history of the city. During Cuba’s struggle for independence in the late 1800s, American traditions and customs such as baseball, Protestantism, and new habits of hygiene began emerging in Havana. At once a rejection of the perceived backwardness of Spanish culture and an appeal to modernizing the island, this cultural appropriation was, as both Louis A. Pérez Jr. (1999) and Marial Iglesias-Utset (2011) have carefully observed, a way for residents to perform acts of citizenship with the intent of defining the customs of the impending nation. It is perhaps no coincidence, then, that the practice of street side ice cream vending arrived in Havana at this very moment following its proliferation in cities such as Barcelona, London, and notably New York. These vendors performed a series of decisive functions amidst the city’s political geography, the most discernible of which was that they offered an opportunity for the working class to indulge in what historically was a bourgeois delight. Of equal importance however, was that ice cream vendors were also participants in Havana’s project of cultural modernization, and their street side presence enabled locals to inhabit the acoustic spaces of the city on their own terms and not those of the Spanish Crown. 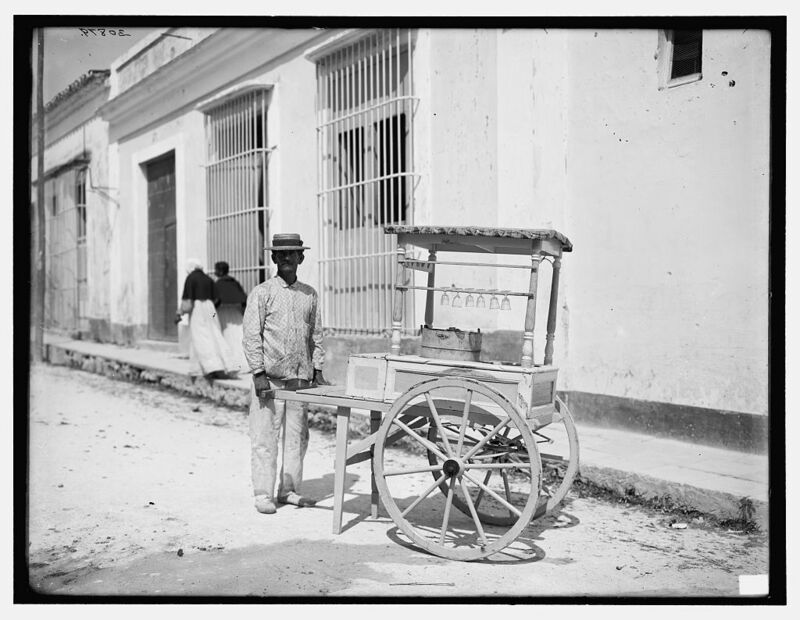 Ice cream vendor on the streets of Havana between 1890 and 1910. Courtesy of the Library of Congress Archives. This photograph, taken in Havana some time between 1890 and 1910, can be read not only as a silent image, but as an audiovisual text. Without any visible technology with which to herald his presence, it’s likely that this vendor relied on his own voice in the form of a pregón. We might imagine the slow rumble of the cart’s wooden wheels as they rolled over the unpaved road, glass cups jangling as the cart bounced along, and enthusiastic voices congregating in the street to buy what was known as a “penny lick.” Each of these sounds moved across the liminal spaces of the built environment, each marking a moment of savory indulgence and neighborly dialogue in the life of the city—as they do again today. Listening to, documenting, and as historian Bruce R. Smith (2004) terms it, “un-airing” the history of Havana’s ice cream vendors offers a means through which to cultivate unexplored encounters with the city. It animates a narrative grounded not in political rupture, but in historical continuity; it locates a geography characterized not by unequivocal exclusion, but one that, quite simply, belongs to those who live there; and in so doing, it develops an account of the city not from the top-down, but rather, from the bottom-up. Such an approach renders audible the enactment of citizenship by listening for the sounds that firmly ground citizens in the very spaces that, time and again, have been destabilized by forces imposed from above. To hear the ways in which citizens inhabit the city of Havana, we must simultaneously listen trans-liminally, across the open spaces of the built environment, and into the city’s history, which resonates through the sounds of neighbourhood communities, interpersonal dialogue, and social interaction. The heralding music of the ice cream vendor is one sound that does precisely that: for some, it offers a sense of childhood nostalgia, for others, it conjures the taste of a delicious frozen snack. But in every case, to listen to it is to enact a form of civic memory that orients residents according to both the spaces they inhabit, and the social and cultural history to which they belong. It comprises a moment, liminal as it may be, during which the city is lived, experienced, and imagined according to the interests of no one other than citizens themselves. Acknowledgements: A sincere thanks to my extended family in Havana, to the academic community at Fundación Fernando Ortiz, and in particular, to Dr. Aurelio Francos Lauredo for his time, guidance, and for his attentive and compassionate ear. Vincent Andrisani is a PhD Candidate and an instructor in the School of Communication at Simon Fraser University. He has written and lectured on the topics of popular music, broadcast media, and the politics of audio documentation in the context of Soundscape Studies, and has presented his research in a number of artistic and academic venues; the most recent of which was at the Pan-American Mobilities Conference in Santiago, Chile in 2014. Intersecting the areas of Sound Studies, Urban Geography, and Cuban Studies, Vincent’s doctoral research explores the relationship between sound, space, and citizenship in the city of Havana. In addition to the ice cream vendor, the sounds of water pipes, international travelers, and street musicians performing “Guantanamera” and other likely tunes form the basis of the study. http://www.vincentandrisani.com. Featured image:Ice cream vendor in Havana, courtesy of University of Miami Libraries, Cuban Heritage Collection. In the first article of the series, Mitchell Akiyama unpacked the WSP’s monumental ten-hour Soundscapes of Canada of 1974, situating the broadcast’s innovative work historically while also pointing out problems of diversity and representation that could inform how we might listen and create in the future. In this second article, Guest Editor Randolph Jordan offers some of his own highly innovative research, drawing on the notion of “unsettled listening” that he described so vividly here last summer, and focusing on how sound calls attention to territorial boundaries and contested land appropriation from Native peoples of Vancouver. What follows is the story of how the sound of a clanging pothole plays an unlikely role in opening up subordinated and forgotten histories, the kind of story that helps us rethink what sound studies is and can do. For a few months in 2013, an intense clanging sound emanated from Vancouver’s Burrard Bridge spanning False Creek. A pothole on the surface had opened up next to the metal connector sitting directly atop of the southwest concrete pillar on the shore, activated by passing traffic and intensified by the hollow concrete structures below. By coincidence, the pothole’s acoustic profile, the “area over which it may be heard before it drops below the level of ambient noise,” was roughly equivalent to the east/west boundaries of Kitsilano Indian Reserve at its peak acreage established in 1877. In the century to follow, the reserve would be carved up for a variety of uses and by 1965 it was gone. But in 2013, 100 years after the government – without securing official title to the land – paid the reserve’s residents to leave, the sound of the pothole set the past resonating as the rhythmic clanging reached out to draw the surrounding acoustic environments together while sounding out their roles in contesting indigenous claims to the area. Fitting, then, that the hole sounded loudest directly under the bridge on the south shore, site of newly restituted reserve lands awarded to the Squamish Nation in 2002 after the decommissioning of the railway passage that marked the original reserve’s first transgression in 1899. 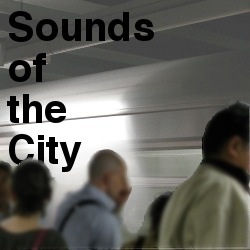 The sound of bridge traffic calling attention to contested land use challenges stereotypical notions about indigeneity in the modern city by upending biases against urban noise pollution typical in early acoustic ecology and exemplified by the work of the World Soundscape Project (WSP). The pothole sound became the locus of my investigation into the value of thinking longitudinally across the Vancouver archive of the WSP, the first assignment given to me by original member Barry Truax as supervisor of my postdoc at Simon Fraser University from 2012-14. I argue that if we use urban noise as a tool for mapping out uncomfortable and subordinated histories, we can rethink the effects of such urban noise on the articulation of cultural space across the WSP archive and imagine new possibilities for future iterations of the project’s Vancouver research. First question: what documentation of traffic noise around Burrard Bridge exists in the WSP’s three major sets of documentation in Vancouver from the ‘70s, ‘90s and 2010s? Using the Google Map I created to plot recording locations across the archive, I listened to those from which bridge traffic might have been audible. Sure enough, the sound of bridge traffic is present on the original ’73 tapes recorded nearby. 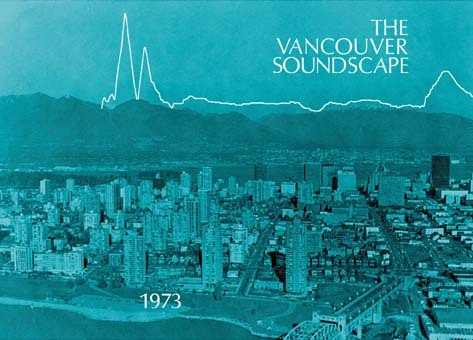 In fact, the ‘73 release of The Vancouver Soundscape LP addresses these bridge recordings in a conversation between project director R. Murray Schafer and the recordists, who describe this traffic noise as a source of frustration while attempting to capture the sound of tinkling masts from the boats in the marina beneath. Here the message seems clear: traffic noise is blight upon more valued sounds in and around the city. This position is corroborated by the very cover of the LP that features a graphic representation of a soundwave from a recording of chirping frogs interrupted by a passing car, the example of urban imbalance with which Schafer concludes the final side of the album. A few years after the ’73 release, however, Hildegard Westerkamp and Bruce Davis wrote the catalog page for the original set of tapes in which they refer to the traffic sounds as a “noisy, broad wash” that “frames the delicate rigging tinkle of the moored boats.” This is a more aesthetically motivated take on urban din that Westerkamp explores to creative effect in her 1986 piece Kits Beach Soundwalk. A decade after that, Robert MacNevin wrote in the catalog notes for his recording under the bridge that the rhythm of the traffic was part of the “very beautiful” fabric of this sonic tapestry that included the masts swaying in the breeze. This shift in attitude also played into the presentation of the archive on the ’96 Soundscape Vancouver CD. Now under the direction of Barry Truax, this second release featured a selection of soundscape compositions that celebrated all manner of urban sounds as interesting in their own right. It was very difficult to ascertain whether or not the traffic sounds in these recordings were in any way connected to potholes on the surface. Yet hearing Vancouver’s urban sound through the shifting perspectives of the WSP’s contributing members provided a framework for assessing the value of their work. So I turned to the next question: how might hearing urban noise like bridge traffic, as “staged” by the WSP, contribute to listening to the area in a way that can unsettle its appearance of stability and reveal the tense histories of contestation that have defined it since the time of first contact through to the present day? On the issue of cultural politics we find less progress across the two official Vancouver releases. Both make some mention of indigenous presence in the land and tie these references to their concerns over urban noise pollution. The ’73 LP opens with the sound of the ocean primordial, lapping against the shore, with wind and birds following in short order. Amidst these, the voice of a Squamish man begins speaking in his native tongue, soon interrupted by an emerging seaplane flying low overhead, ushering in the era of Vancouver’s incorporation as a city and the ensuing industrial development. Only someone who understands the spoken language here will know if the WSP’s narrative runs counter to the story being told by the Squamish man, for no translation is offered either in the grooves or within the jacket. Well-intentioned though they were, the WSP’s problematic construction of machine noise as despoiler of the wilderness is made worse by putting the only voice given to indigenous peoples in the service of this didactic construction. In so doing they contribute to relegating urban indigenous presence to a thing of the past rather than accounting for the consistent and continuing presence of First Nations communities in the city – a luxury they afford to the Greek and Chinese communities later on the disc when these are presented as vibrant and living parts of Vancouver’s modern fabric in a track entitled “The Music of Various City Quarters” (a multicultural gesture they would move away from on the trip across Canada that Mitchell Akiyama unpacked in the previous post in this series). Similarly, in a brief documentary about Vancouver’s changing sounds on the ’96 release, Westerkamp comments on the intrusive presence of the air conditioning system in the Museum of Anthropology on the U.B.C. campus, marring visitors’ experience of “some of B.C.’s most fascinating Native artifacts.” Westerkamp’s respect for indigenous culture comes through clearly enough. Yet the WSP’s presentation of local indigeneity takes a step backward here as the living voice speaking a dying language heard in ’73 has given way to just plain old dead people in ’96, best contemplated in the quietude of Arthur Erikson’s high modernist design for the building. The WSP might just as easily have critiqued this space as an example what Schafer has called the “glazed soundscape” in which sound is cut off from the world visible through large windows, an architectural situation that emphasizes the disconnection between the indigenous culture on display within and the living Native presence in the city outside the museum walls. The fact that the building’s design heightens the perception of the ventilation sound is, like the pothole on the bridge, an example of how urban noise can be heard to mark out indigenous displacement in the city. Standing under the bridge on the 40th anniversary of the 1973 recordings, and the 100th anniversary of the reserve payouts of 1913, I imagined the pothole as a recasting of the church bell as marker of territorial boundaries, sounding out the colonial encroachment of municipal infrastructure upon 19th Century reserve lands well into the 21st. And so in a multimedia work on the site, I dub the bridge the “Bell Tower of False Creek” for its power to unsettle ideas about the role of urban noise in articulating culture in the modern city, and I wonder what shape the next WSP release might take. The key lies in deeper consideration of the intersection of soundscape composition and the WSP archive as mutually enriching sites of practice. The positive move on the ’96 release came in actively putting the ‘90s archival recordings in dialogue with the ‘70s material, creatively exploring longitudinal relationships in ways that move in the direction of the post-Foucauldian thrust for artists and researchers to “use archives in a more self-conscious way” as Jaimie Baron puts it (3). Yet they stopped short of “actively promot[ing] a critical attitude towards [the materials] and their uses within the institutions” from which they originate, a key characteristic of archival collage identified by William Wees (47). The time is right for a critical investigation of the ways in which the WSP’s own construction of the archive itself has delimited its possible uses and how they have controlled the staging of its content these past four decades. In so doing, they might also become more culturally astute in assessing how their biases against certain kinds of urban sound have shaped their presentation of the cultures that live within earshot. All images provided by the author, unless otherwise noted. Welcome to Unsettling the World Soundscape Project, a new series in which we critically investigate the output of early acoustic ecology and assess its continuing value for today’s sound studies. The writings and subsequent musical compositions of original WSP members like R. Murray Schafer, Barry Truax, and Hildegard Westerkamp have been the locus of much critical engagement; ubiquitous references to their work often contain tensions born from the need to acknowledge their lasting influence while critiquing the ideologies driving their work. Yet little attention has been paid to the auditory documents produced by the WSP itself as its members experimented their way through the process of developing methodologies for soundscape research. Drawing on the notion of “unsettled listening” that I wrote about here on Sounding Out! last summer, we pay particular attention to issues of cross-cultural representation in the work of the WSP and ask how their successes and failures can inform new investigations into the sonic environments of the world. In the first post Mitchell Akiyama unpacks the WSP’s most ambitious piece, the ten-hour Soundscapes of Canada radio series produced for the Canadian Broadcasting Corporation in 1974. Akiyama situates the broadcast’s innovative work historically and points to the problem of how to represent an increasingly diverse nation by way of sound while calling for new ways to think about what such a project should sound like in the 21st Century. Ultimately, he argues that what the broadcasts exclude is perhaps more important than what they include. In the following weeks, posts from myself and Vincent Andrisani will further the conversation geographically, temporally, and methodologically. It is our hope that this series will spark new interest in the output of the World Soundscape Project while prompting debate about how best their legacy can be made useful for today’s researchers and practitioners doing critical work on the role of sound in understanding relationships between people and the places in which they live. 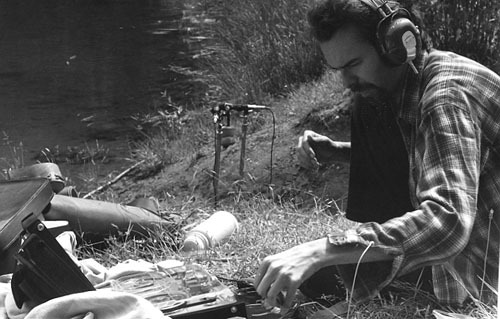 In October of 1973, two young sound recordists embarked on an ambitious field trip across Canada, traversing over 7000 kilometers to commit the national soundscape to tape. 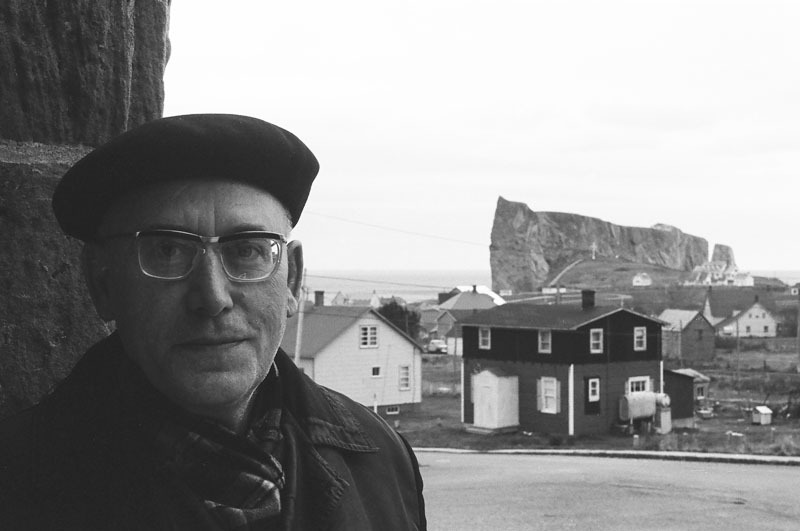 From St. John’s, Newfoundland to the harbor of Vancouver, British Columbia, Bruce Davis and Peter Huse pointed their microphones at the things they felt best exemplified their vast country. These recordings would become the backbone for Soundscapes of Canada, a series of ten hour-long radio programs carried across the country by the national broadcaster, the CBC. Conceived and produced by the World Soundscape Project (WSP)—a research group formed at Vancouver’s Simon Fraser University in the late 1960s and helmed by the composer and sound theorist, R. Murray Schafer—in its entirety Soundscapes of Canada was an impressively sprawling, eclectic document. 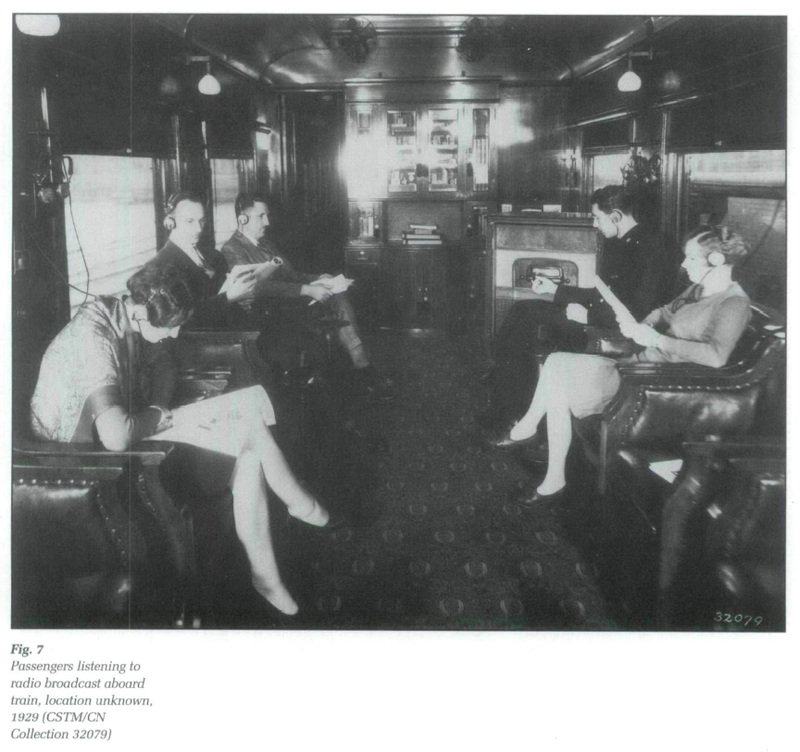 Comprised of guided listening exercises and avant-garde sound collages, the program’s stated goal was to open the ears of Canadian listeners to the importance of sonic experience, and to alert them to what they warned was the degradation of the soundscape thanks to the mounting din of industrial modernity. But there was much more happening out of earshot. Created at a time when Canada’s cultural identity was rapidly changing thanks to an unprecedented swell in immigration from non-European countries, the WSP’s portrait of the nation all but ignored its First Nations and its “visible minorities,” as they would come to be known. While the series was an important statement in the WSP’s larger efforts to bring sound to the forefront of cultural conversation, it is arguably more important to listen to Soundscapes of Canada for what it leaves out, for voices silent and silenced. For Schafer, the industrialized world had grown measurably louder and qualitatively noisier, which troubled him for both environmental and social reasons. In his 1977 book, The Tuning of the World, Schafer would write, “For some time, I have…believed that the general acoustic environment of a society can be read as an indicator of social conditions which produce it and may tell us much about the trending and evolution of that society” (7). Given the worryingly poor state of the soundscape, for Schafer it followed that society was in bad shape. He was wistful for quieter times, for the days of Goethe, when the cry of the half-blind night watchman of Weimer was within earshot of every one of the town’s inhabitants. Unstated, but implied, here, was the notion that as communities expanded beyond every member’s ability to hear a familiar sound, their common identity would necessarily be eroded. And for Schafer, this was precisely what was happening to Canada. So it seems fair to ask: exactly whose mythology stood to be snuffed out? For Schafer, Canadian culture was (or ought to be) synechdochal with the land, with the nation’s vast, largely uninhabited expanses that stretched all the way to the North Pole. Canadians were (or ought to be) a rugged, self-reliant people—stoic pioneers who shunned cosmopolitan (read ethnic) urban centers, opting for a quiet life in harmony with the country’s settler heritage. This was certainly reflected in program four, “Soundmarks of Canada.” Over the course of an hour CBC listeners would have heard an austere montage almost entirely comprised of mechanical alarms (foghorns and air sirens) and church bells. Each sound presented, carefully, discreetly as though displayed in a museum, free from any traffic noise or sidewalk bustle that might distract the listener. Anyone unfamiliar with the Canadian soundscape would be forgiven for coming to the conclusion that the world’s second largest nation was a bastion of early industrial machinery, a sanctuary for quiet, self-reliant, God-fearing folk. “Soundmarks of Canada” not only omitted the soundmarks of Canadian cities, it also excluded any sonic trace of the country’s vibrant ethnic and First Nations communities. Produced in the years following the passage of the 1971 Multiculturalism Policy of Canada—which had been adopted in response to a boom of immigration from non-European nations—their portrait of a pastoral, post-colonial British outpost shunted the country’s sizeable non-Christian, ethnic population squarely out of earshot. It should also go without saying that the soundmarks they so prized were deeply entangled with a silencing of Canada’s indigenous population; of a protracted, often violent and brutal, campaign of assimilation that replaced one set of sonic practices with another. For generations of Indigenous Canadians, the sounds of church bells would likely not have connoted community or belonging, but would have rather reverberated with echoes of the “reeducation” in settler religion and language that many were forced to endure in Canada’s residential schools—church-run institutions to which countless children were spirited away against their parents and communities’ wishes. This is not to say that any of this was intentional, that the WSP deliberately plugged their ears to Canada’s marginal communities, or that they intended to slight these groups in any way. It may be more accurate to ascribe ignorance and omission to the project, structural forms of inequality that dog even the most well meaning white settlers. Regardless of intent, however, the result is the same. Soundscapes of Canada shows a troubling politics of self-recognition in action that is far too common throughout the nation’s history. By disproportionately representing the voices and sounds of European Canadians the series necessarily supported the idea that they were, if not the only ones, then at least “ordinary” and incumbent. Projects like these promote and condition a sense of unity and similarity that constitute the nation’s imagination of itself. Benedict Anderson famously observed that nations come into being and are maintained through the cultural work that leads its citizens to identify with the state. Institutions and practices from censuses, maps, nationally available print journalism, etc. all allow people in far-off locales to imagine themselves constituting a limited and sovereign community. In his classic book, Imagined Communities, Anderson proposes that nations have also historically been conceived, created, and ratified through sound. Writing specifically of national anthems, Anderson coins the term “unisonance” to describe the power that sound can have to seemingly erode the boundaries between self and other: “How selfless this unisonance feels! If we are aware that others are singing these songs precisely when and as we are, we have no idea who they may be, or even where, out of earshot, they are singing. Nothing connects us all but imagined sound” (149). It is significant that the WSP chose the radio—the CBC in particular—as the vehicle for their ambitious project. In the mid-1970s, not only did radio offer the widest reach of any sonic medium, but it also had a particular cultural resonance for Canadians. A nation as vast and varied as Canada could have only come about thanks to mediation; its vastness has always required means of traversing or shrinking space to secure its borders, both psychic and geographical. The westward expansion of the post-indigenous nation was accomplished first by canoe, then by rail, and, beginning in the 1920s, by radio. Appropriately, it was the Canadian National Railway (CNR) that produced the first transnational radio broadcast in 1927—the national anthem performed by bells on the carillon of the Peace Tower—broadcasting the event to railway passengers and home listeners alike. Since the middle part of the 20th century, the national broadcaster has been understood as something of a bulwark against encroaching American culture. The history of the Canadian airwaves is profoundly mired in struggles to promote, produce, and foster content that might keep the national identity from being completely subsumed under the sprawl and heft of the American culture industry. Schafer had mixed feelings about the medium. On the one hand, he was skeptical of his one-time teacher and mentor, Marshall McLuhan’s, analysis that radio, by its very nature, enfolded listeners in a shared acoustic space, effectively “retribalizing” society. Schafer felt that the airwaves had been packed to such a dense and frenetic level that they actually created “sound walls” that effectively isolated listeners in their own solipsistic, acoustic bubbles. 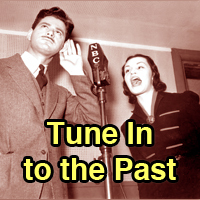 But there was hope for the radio in that it could also facilitate a return to a more wholesome and connected state of being and of listening. Schafer noted this duality in his essay “Radical Radio,” writing, “If modern radio overstimulates, natural rhythms could help put mental and physical well-being back in our blood. Radio may, in fact, be the best medium for accomplishing this” (209). Sonic technology was a source of ambivalence for Schafer; he coined the term “schizophonia” to describe the separation of sound from source that recording effected. He believed that it was problematic to populate the world with copies he deemed inherently inferior to the “original” sonic event. Given the opportunity to reach such a wide swath of the Canadian public, Schafer swallowed his distaste for the schizophonic medium and offered a sonic missive on how to compose a healthy and prosperous nation. Forty years on, Soundscapes of Canada still stands as a unique experiment in imagining how to build and maintain a nation through sound. But in the same regard it also serves as a troubling reminder of how sonic media can work to occlude the voices of marginal citizens, thereby preventing them from fully finding the place in the national soundscape, simply by ignoring their soundmarks and aural practices. If a nation needs a myth, it can do better than telling stories about the necessity of shoring up a colonial legacy whose time has come. Readers interested in listening to the full series can stream all ten episodes through the website of the Canadian Music Centre. Mitchell Akiyama is a Toronto-based scholar, composer, and artist. His eclectic body of work includes writings about plants, animals, cities, and sound art; scores for film and dance; and objects and installations that trouble received ideas about perception and sensory experience. Akiyama recently completed his Ph.D. in communications at McGill University. His doctoral work offers a critical history of sound recording in the field and examines an eclectic range of subjects, from ethnographers recording folksongs in southern American penal work camps to biologists trying determine whether or not animals have language to the political valences of sound art practices. Featured image: “Toronto” by Flickr user Kristel Jax. All other images via the author.